There are so many reasons why buying a holiday home in the Lake District will be the right decision for you; imagine unlimited breaks to your home-away-from-home in some of the most stunning UK locations for 10 months of the year. If you are considering buying a holiday home in the Lake District, you will want to feel confident that your investment will be a success. 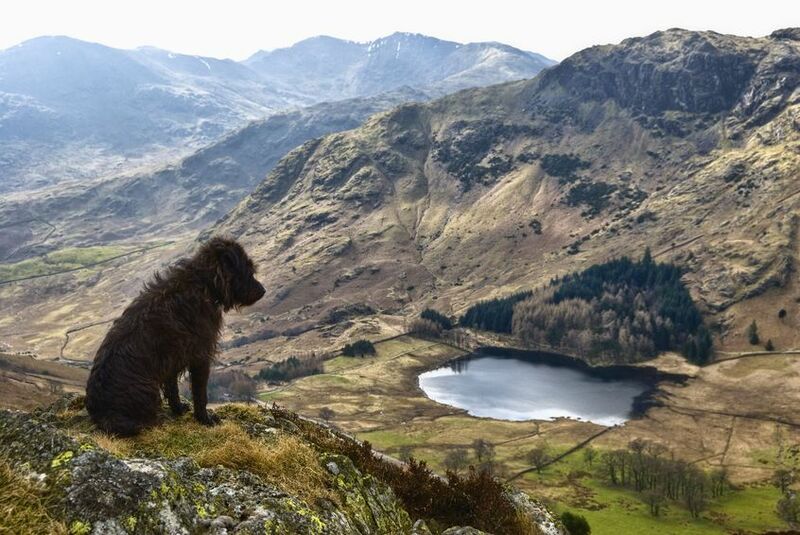 The area around the Lakes is one of the most popular holiday destinations in the UK, stunning scenery and now it has secured UNESCO World Heritage status, it is not hard to see why visitors flock to our part of the country. Be clear on how far you want to travel in order to get to your holiday home. This will help with your search. If you are looking for a holiday home that will be predominantly used for a quick weekend away, ease of access is an absolute must. Fortunately, the road links to the Lake District are very good. Hawthorns is close to junction 35 of the M6 and is therefore just over an hour away from cities like Manchester and Liverpool. Every person will have different requirements; ranging from the facilities on site to the attractions that are accessible from you new holiday home. If you are looking for a lively holiday park with an entertainment schedule to keep you from your bed every night – well Hawthorns might not be the best choice for you. However, if you are looking for a quiet, peaceful park with beautifully manicured plots, a library, golf putting green, and with the walking delights of the Lakes on your doorstep – then you will enjoy our park just fine. Waking up to a view is top of the agenda for many people choosing a new holiday escape. So it is worth checking that your park can offer the outlook you really want. If you are looking buy a caravan with that extra luxury feel, take a look at a Hawthorn static caravan plot in The Glade. The area has been recently developed and professionally landscaped (including a wildlife pond) to take full advantage of the scenery. The Glade itself is a series of 24 caravan plots slightly separated from the rest of the park, so you’ll find plenty of peace and quiet as well as that extra space. Each caravan has its own private decking, so on a nice day you can sit in the sun, soak in the fresh air and savour the view. Whether you are looking for a quick weekend break, a well-earned family holiday, or even a longer stay, owning a holiday home gives you complete freedom to escape the hustle and bustle of everyday life whenever choose. There’s no waiting at the airport, overpriced school holiday breaks or booking months in advance. Just turn up, settle in and relax…..
Hawthorns Caravan Park is open from the first weekend in March to early January, so you can even enjoy Christmas and New Year here if you wish. We know that your pet is very much part of your family and making arrangements to leave your dog when you want a break can be expensive. Hawthorn Caravan park is pet friendly, so you can forget about the stress of boarding kennels – just bring your favourite pooch with you. Owning a holiday caravan can add a whole new dimension to your life, giving you the opportunity to get away at a moments notice whenever you want. It is easy to get carried away with your new lifestyle choice, so take some time to carefully consider some of the other implications your purchase is going to have. You will enjoy your new holiday retreat much better if it comes worry-free. Are there caravans within your budget-range? Are there premiums on plots with views? 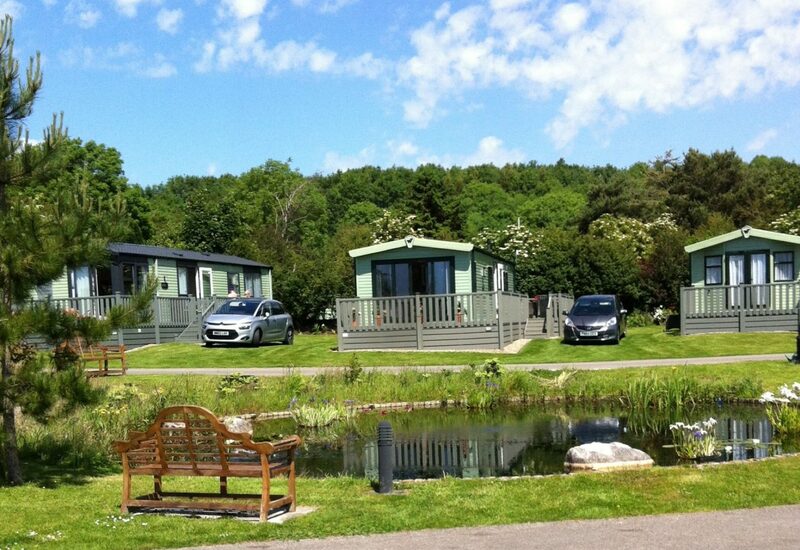 At Hawthorns we have a wide choice of static caravans that will suit a range of budgets. If a particular available plot takes your fancy we can also supply any make of caravan holiday home you might request. Move-in prices include delivery, siting, connection to mains water and electricity, drainage, flagged steps, large flagged patio areas, wood skirting. The only extras you will need to think about are the annual park fees, insurance and your gas and electric use. Running costs are an important aspect to consider. They come up every year and you must be comfortable with them. Alongside the annual site-fee, you need to think out about the associated costs, such as insurance and utilities. The fees for the 2017 season are £3,025 on the park and £3,510 on The Glade. This includes VAT, rates and grounds maintenance. The only other costs are insurance, electricity and gas. There are lots of different finance options to consider when purchasing a new holiday home. Hire purchase deals, personal loans, a second mortgage charge, part exchange and equity release are some of the most common. Whatever finance route you wish to use, make sure that you shop around for the best deal to suit your individual circumstances. Although you can benefit from holidays sooner by spreading the cost of the caravan, don’t forget that the debt must repaid whatever the season. Subletting your holiday home or caravan can be a great way of offsetting some of your annual running costs. Some holiday park allow subletting and impose specific restrictions, so it is worth checking which schemes are run and how they are managed. At Hawthorns we don’t allow sub-letting although you’re welcome to allow family members to use your caravan. This helps ensure that the park provides the peace and quiet you deserve at your home away from home. Holiday caravans come in all shapes and sizes, and as technology has moved on – so has the options and designs available to you. Just like buying a house or a new car, there will be fundamental things that are important to you so it is a good idea to consider these in advance. Most static caravans come in two or three bedroom options and many have the luxury of en suite bathrooms too. What facilities are you going to need? The majority of new holiday homes come standard with furnishings and fully integrated kitchen appliances. However, if there are specific options like a state-of-the-art entertainment system, your needs can be catered for. Just ask and we can ensure your new home is unique to you. The outside space may well be important to you and offers further options. Can you have a deck on the side of your home? Are there spaces to park your car nearby? Many of the plots at Hawthorn are elevated and enjoy attractive views either with a stone patio or private decking (on The Glade plots). With so many options available for layouts and internal fixtures and fittings you will have plenty of choices to make your dream caravan truly bespoke. We offer an outstanding range of static caravans for you to choose, from some of the UK’s leading manufacturers like Swift, Atlas, Pemberton and Willerby. 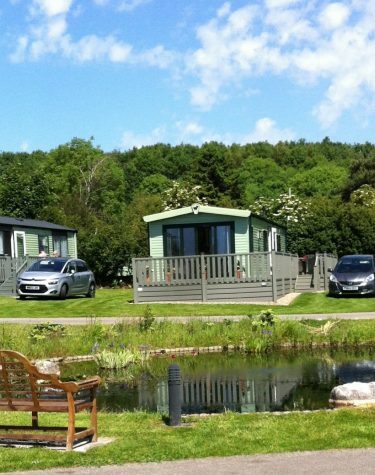 As you will see from our pictures, the park is maintained to a very high standard making it an ideal place to own your holiday home for both couples and families alike. 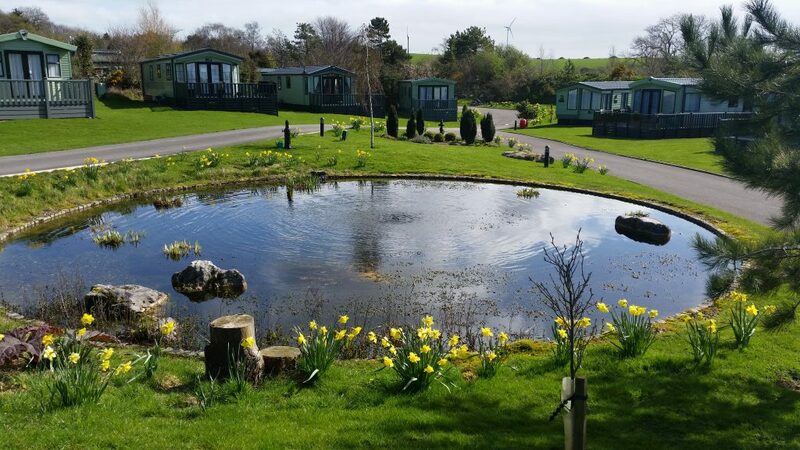 Owning a holiday caravan is all about maximising your leisure time, whether you enjoy action packed walking days, lazy days with a good book, golf days or a day by the beach. Whatever you choose to do, owning a holiday home will add a whole new dimension to your life. If you’re looking for a brand new model or a pre-owned Holiday Home in the Lake District, or you’re not quite sure what you’re looking for, please get in touch below and our friendly team will get back to you shortly!